Writer and interviewer covering Taiwan, China, fiction, and music. A playwright and grant recipient writing across genres, including fiction and journalism. 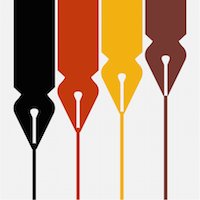 One – time guest writer for Racialicious, editor for a forthcoming memoir from 2Leaf Press, also writes fiction.One – time guest writer for Racialicious, editor for a forthcoming memoir from 2Leaf Press, also writes fiction. Currently doing science writing (as web producer at Science Friday), but have a background in culture and arts writing. Can do long reported features as well as short quick blurbs. I work for the black poetry foundation, Cave Canem. SO many black writers! I do freelance writing/reporting of various kinds, but I’m focused on creative nonfiction, and working on a collection of essays. Maybe because I grew up in a vibrant Indian community in Texas, I am drawn to the worlds under the surface of mainstream American life. Inside these spheres, my favorite stories are of ordinary people doing extraordinary things, especially when those circumstances are foisted upon them. It’s the old Flannery O’Connor hypothetical of having someone there to shoot you every minute of your life. Pressure transfigures people. And transformation is interesting. I report mainly from New York, Pennsylvania, Massachusetts, Connecticut but have also done reporting in St. Louis and down south. I mainly do on the ground reporting, investigative journalism, longform narrative and feature journalism, and reported analysis. Currently freelancing and open to commissions, consistent freelance work, staff reporting positions. ⇦ more people this way!